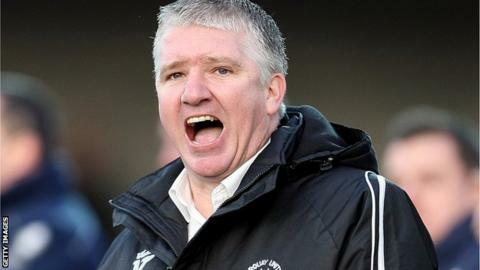 Torquay United manager Martin Ling says his side could have scored more goals in their 1-0 win over AFC Wimbledon. Rene Howe got the only goal of the game 11 minutes before half-time even though the Gulls had 20 shots and 11 on target throughout the match. "It's a decent win, I think the scoreline didn't do us any justice, I thought we had a better performance than a 1-0," Ling told BBC Radio Devon. "We should have scored more goals, we weren't clinical enough." Ling added: "I never at any time felt threatened. I felt we could have cut them open at any given time and we did do." But the Gulls boss added that he hoped the victory, which was only the second of the season for Torquay, will spur them on to more success. "The season's been simmering along and this will hopefully push us in the right direction," he said. "We're a team that are capable of doing what we did today."